Ric's Radiator and Industrial builds new complete radiators to change over any aluminum coil radiator. We provide service for many applications, including heavy duty truck and highway, heavy duty equipment, combine and tractor, and dozer or front end loader. We sell new complete heater cores, and also auxiliary heater assembles. We also re-core and repair heater cores. Ric's Radiator and Industrial also works with charge air coolers, including new complete units. We also custom build them to create an easy clean out core. We repair oil coolers and also have new oil coolers for sale and can get internal or external oil coolers. We sell new oil coolers for replacement or add-on coolers for extra cooling. We sell new fuel tanks, sender units, and accessories. We also have 3 litre and 6 litre fuel tanks for small engines. We repair condensers and sell new units for many applications. Ric's Radiator and Industrial steamed out and repairs fuel tanks. We also test them for leaks, install new filler necks, and modify existing fuel tanks or oil tanks. 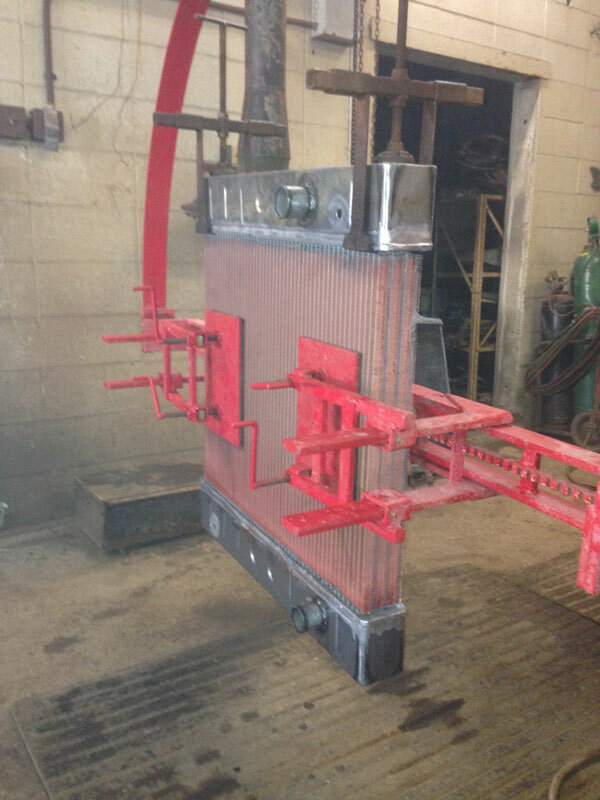 We build fuel and oil tanks to customers’ specifications, using aluminum or steel. We have fuel filler hoses available in length of 3 feet or by the inch: 2.5", 2.25", 2", 1.75", 1.5", 1", 1 1/8", 1 1/4", 1 3/8", 1/2", 5/8", 3/4". We sell 90 degree and 45 degree fuel filler host at 1.5", 1.75", 2", 2.25", 2.5". We custom build radiators for stationary engines including building new and complete radiators to change over aluminum automotive core to copper- brass industrial cores. Or to brass- steel thin applications. We build new, completely custom radiators for easy clean out and extra cooling capacity, and offer new, complete replacement radiators.